Continental Murrumbeena has years of experience in servicing all makes of vehicles and provides a comprehensive range of car services to vehicle owners. Our service areas include Murrumbeena, Hughesdale, Malvern East, Chadstone, Oakleigh, Bentleigh East & surrounding suburbs. 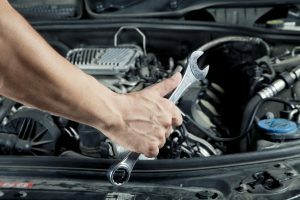 All mechanical services are performed by highly qualified mechanics, ensuring that your vehicle will perform at its best before leaving our auto repair shop. Our services include general mechanical repairs, log book servicing, battery replacement, auto air conditioner servicing, wheel alignment, auto electrics servicing and repairs. Whether you drive a passenger car, SUV or a truck, we can handle any problem and get the job done right every time. Never Ignore The Warning Signs! If you notice any difference in your vehicle’s performance or car warning lights illuminated on your dashboard, it is important to have a diagnostic check as quickly as possible. Ignoring warning signs can make the condition even worse, and you may find yourself in unexpected breakdowns. Let Us Diagnose The Problem & Fix It! At Continental Murrumbeena, we use state of the art diagnostic equipment to identify the problem and fix it right the first time around. Our mechanics are subjected to continual training, and so they always remain up-to-date with the automotive technology. From factory scheduled maintenance to major mechanical repairs, our experts can handle any problem and bring you back on the road as quickly as possible. With the perfect blend of our industry experience and modern tools, we finish your car repairs and return your vehicle in a timely fashion. Whether it is a brake job, tyre rotation and engine problem, our auto mechanics can get the job done at the most satisfactory prices. Why Choose Us For Mechanical Repairs? Customer service and satisfaction is our utmost priority. Still wondering how can we help you with car mechanical repair needs? Give us a call at (03) 9579 0007 today. We are more than happy to address all your queries.